Abies balsamea 'Renswoude' is a fairly recent introduction from The Netherlands. 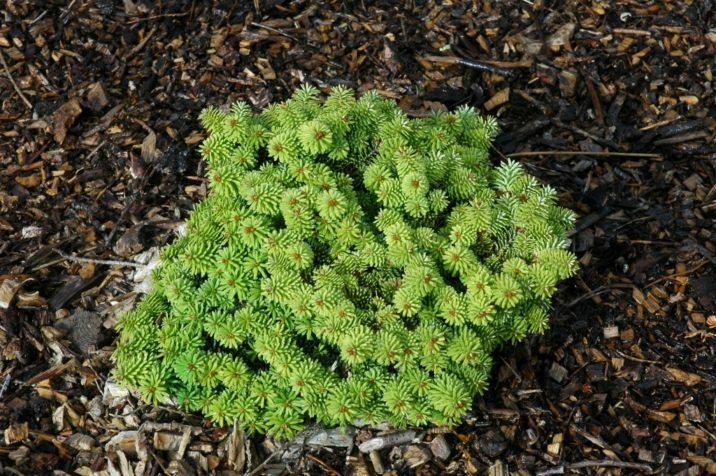 It is a special ball-shaped dwarf selection of Balsam fir with needles that are slightly lighter green than those of the species. Typical annual growth in most areas is a bit more than 1 inch (2.5 cm), producing a 10 to 15 inch (25 - 40 cm) congested, round plant after 10 years. This a great choice for use in a rock garden or small home garden as it will likely never outgrow its given space. 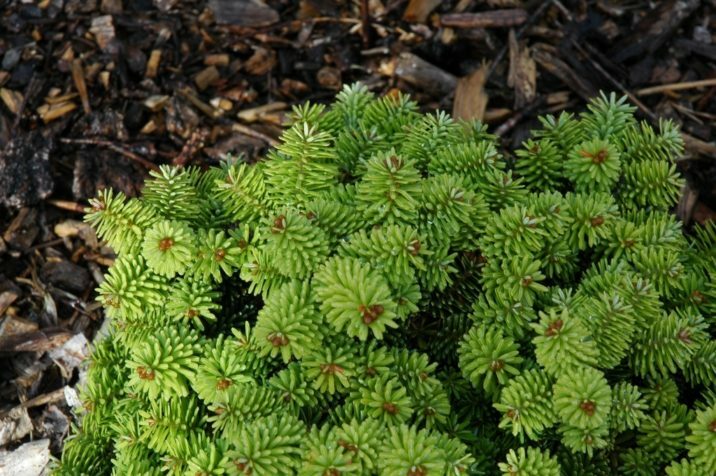 Abies balsamea cultivars are notorious for their dislike of heat and drought so a recommended siting is in well-drained, moisture-retentive soil, shielded from hot afternoon sun. 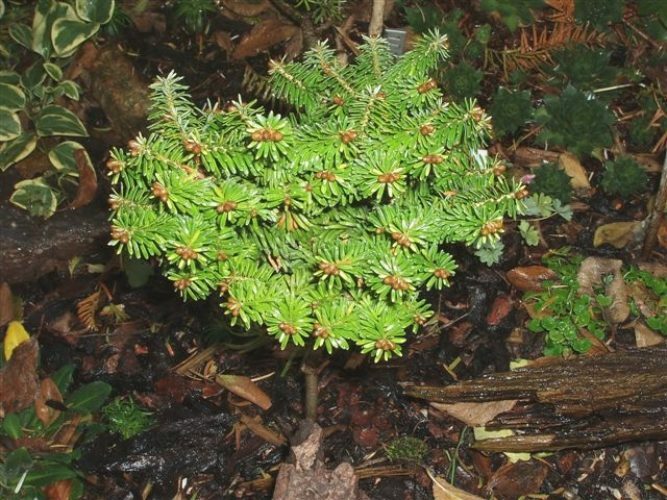 Abies balsamea 'Renswoude' from the Jiri Balatka collection, Všejany, Czech Republic, courtesy of conifertreasury.org. Abies balsamea 'Renswoude' — a closeup of foliage detail. Abies balsamea 'Renswoude' — a mature specimen.